The Joint Admissions and Matriculation Board (JAMB) has revealed the seven best candidates in the 2018 Unified Tertiary Matriculation Examination (UTME). The Joint Admissions and Matriculation Board (JAMB), on Sunday, named Galadima Israel Zakari, from Biu, in Borno State, as the best candidate in the 2018 Unified Tertiary Matriculation Examination (UTME). Records from JAMB indicated that over 1.6 million candidates sat for the 2018 UTME and Zakari who sat for the examination, in Ogun State, scored 364 to emerge overall best candidate. Similarly, Adekunle Samuel Jesufemi from Ogun State with 358 point came second, while Alikah Anthony Oseghale from Edo State with 357 point came third in the 2018 UTME. The fourth position went to Ademola Ebenezer Adetola from Ogun State who scored 355 point and the trio of Akinyemi Olatunbosun Paul from Ogun State, Ape Terhemba Moses from Benue State and Obi-Obuoha Abiamamela from Rivers State took fifth position with a tie score of 354. JAMB said, in a statement issued, in Abuja, on Sunday, that the explanation became necessary following a newspaper publication, last week, which claimed that Ape Terhemba Moses from Benue state with 354 score, was the best candidate. JAMB’s spokesman, Dr. Fabian Benjamin, said in the statement that the news report was untrue and misleading to the public. He equally demanded retraction. He thus appealed to interested individuals and news organisations that want to use JAMB data for research, reportage and other national assignments to always contact it for accurate and updated information to avoid misleading the public. Pls i score 48 in jamb exam, i applied for mechanical enginerring in UNN. What r my chances of geting adminsion? I scored 202 in jamb and 66 in pjamb while I ‘m seeking admission in to unilorin to study economics, plss wat z my chance to be admitted? please when will nsuk admission list coming out? Please when will 2019 registration commence?? please, in my jamb, am having 194 and want to study pharmacy, will they admit me? 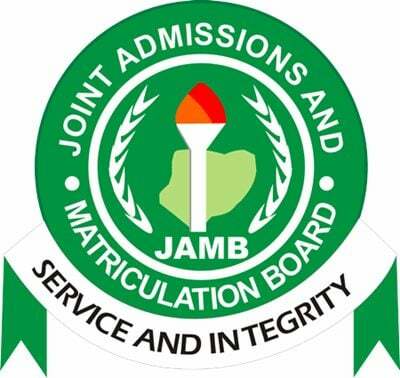 Please how can i check my admission status on jamb caps? please when is oau post utme result going to be released? After the 2018 Jamb Examination, I checked my result to see 199. I checked my departmental cutoff mark (FUTMINNA, Mechatronics Engineering) in a website and I saw 190 as my cutoff mark. Just now (Aug 12) I checked my school official website and I saw 200 as the cutoff mark. I don’t know if there is anything I can do if it is not too late. I don’t want to change my course.